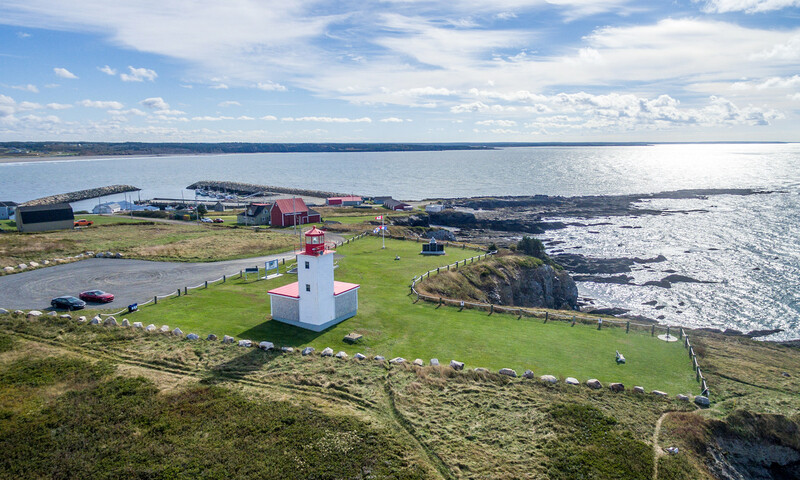 French Acadian families began settling at Cape Saint Mary in 1804. The ocean off the Cape teemed with herring, cod, and mackerel as well as many other fish species. 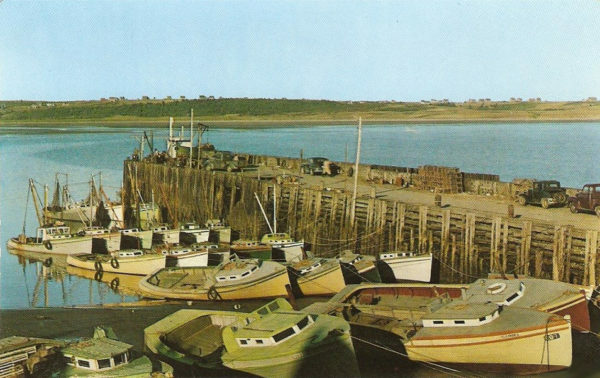 The fishers of Cape Saint Mary went out to sea in small open boats known locally as ‘barchettes’ (little barques) powered by oars or sails, and they processed their catches onshore by salting, pickling or drying. Fish exports and boatbuilding were the main sources of revenue in the village, but villagers also farmed and gathered food from the land. Beginning in 1888, a steamboat connected this isolated village with other ports along the bay, carrying passengers, mail and cargo. Beginning in the late 1800s, the fishers outfitted their small boats with one-cylinder gas engines commonly known as ‘pok-poks’. 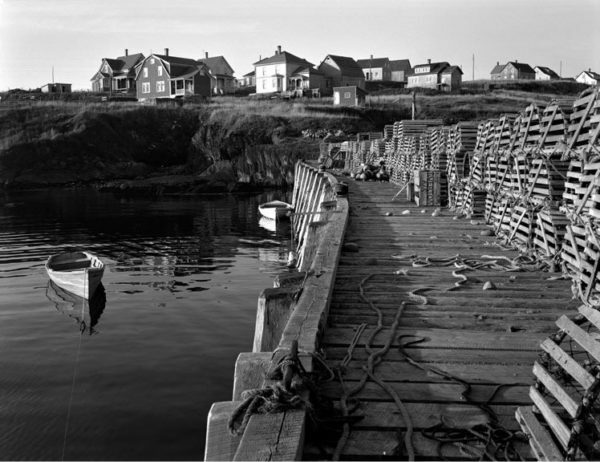 By the early 1900s, many fishers turned to fishing for lobster with traps and buoys. 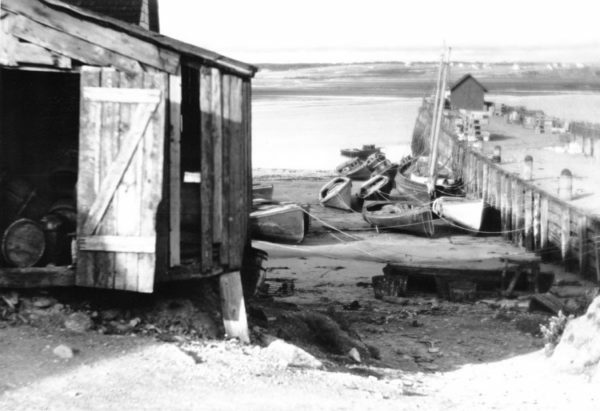 At a cannery in the village, lobsters were cooked, cleaned and packaged in tins for export. Fishers gradually upgraded their vessels to the larger ‘Cape Island’ style boats with open decks on the stern for handling traps and gear. 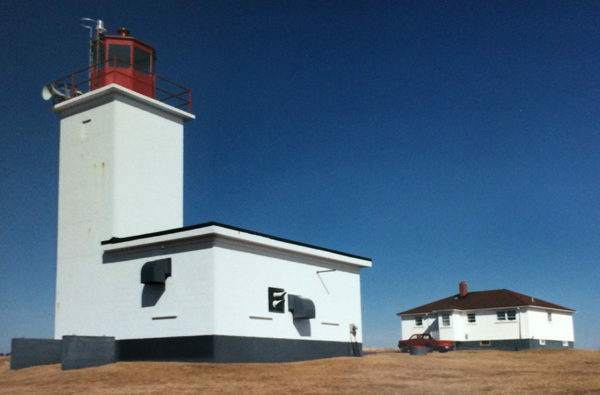 For the protection of mariners, two lighthouses have been built on the headland at Cape Saint Mary. 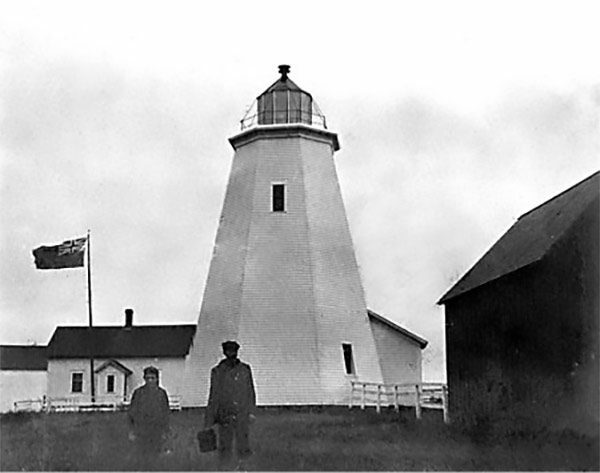 The original lighthouse, dating from 1868, was a wooden octagonal tower 13.1 meters high (approximately 43 feet) bearing a revolving light flashing white and red every 30 seconds. A lighthouse keeper was employed full time to keep the mechanisms working. A two-tone foghorn station was added in 1914. At that time the site included a house, barn and outbuildings supplied for the use of the lighthouse keeper and his family. The second lighthouse, built in 1965, is a 3-meter square tower (approximately 10 feet) constructed atop a one-story concrete block building. It rises to a height of 8.8 meters (29 feet) and is equipped with a 500-watt light flashing every five seconds and operates only at night. It was automated in 1989. 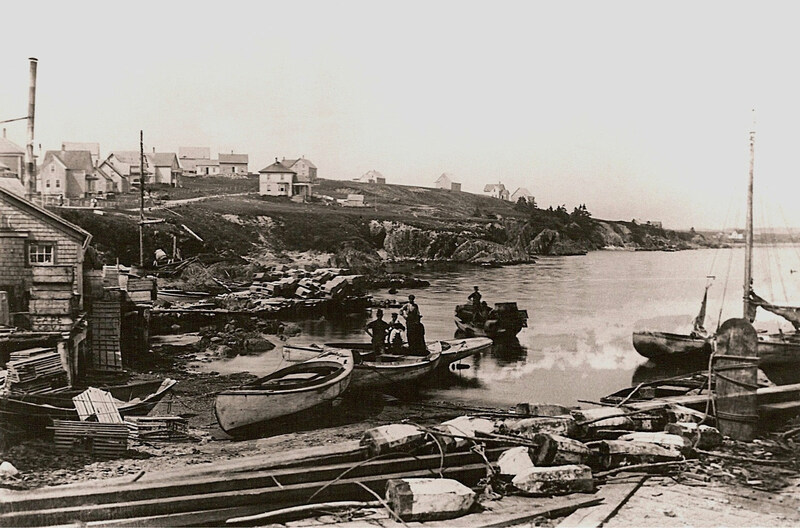 Photograph by W.R.MacAskill, courtesy of Nova Scotia Archives and Record Management. Photograph courtesy of Nova Scotia Archives and Record Management.